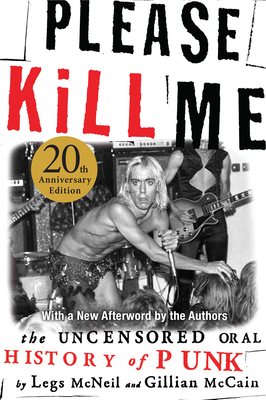 A contemporary classic, Please Kill Me is the definitive oral history of the most nihilistic of all pop movements. Iggy Pop, Richard Hell, the Ramones, and scores of other punk figures lend their voices to this decisive account of that explosive era. This 20th anniversary edition features new photos and an afterword by the authors. Legs McNeil lives at the "Schwenksville Narrative Oral History Institute." He was the former Resident Punk at Punk magazine, a senior editor at Spin, and regularly contributes to Vice online. Gillian McCain is the author of two books of poetry. Legs and Gillian's most recent book is Dear Nobody: The True Diary of Mary Rose, and they are currently at work on a new book about the California music and counterculture scenes of the 1960s.